It was in college that Bryan King really showed what he could do, according to The San Bernardino County Sun. He helped his team to a conference championship, The Sun wrote. He also did it by being only 5 feet, 9 inches tall. "I was the shortest guy on the team and I led the league in home runs," King told The Sun in May 1988. "That's when I really realized that a small person can compete with anybody." King was then competing in his second professional season. He went on to compete in five, but he never made the majors. King's career began in 1986, taken by the Astros in the 10th round of the January draft out of Los Angeles Harbor College. King started with the Astros in the rookie Gulf Coast League. He hit .296 in 33 games. He then sat out 1987 over a disagreement on how he should be used. He returned to the field in 1988 with the Mariners at San Bernardino. With San Bernardino, King hit .223, with 36 RBI and 35 stolen bases. He then returned there for 1989, hitting .244 and stealing 26 bases. He had a game-winning single off a side-armer in an August 1989 contest. "Side-armers are tough," King told The Sun after that game-winner. "I was just trying to stay out of the double play." 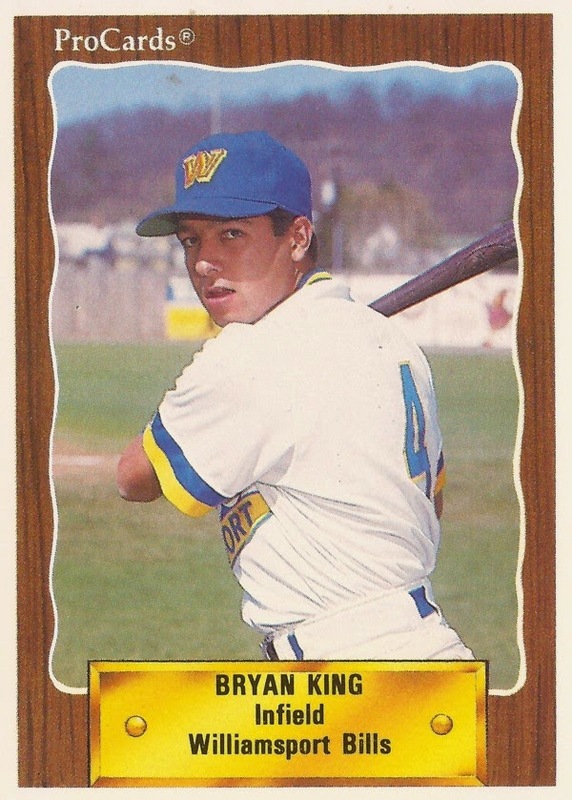 King moved to AA Williamsport in 1990. He also played at high-A Peninsula. He hit just .231 there, but the shortstop's defense received praise. "One of the keys to winning is being solid up the middle," a young Bret Boone told The Newport News Daily Press in June 1990. "King is definitely one of the better shortstops I've played with." King, though, played just one more season. He returned to San Bernardino, got time at AA Jacksonville and he even got two games at AAA Calgary. Between the three levels, though, he hit just .175. It was his final season as a pro. King has gone on to return to California. He has played softball and he works as a private baseball instructor.